Most geometry books start with the fundamentals which can be confusing for students because the math itself is so easy. After working through the abstractness that is algebra, when we ask students to perform some simple addition and subtraction they wonder, “What’s the catch?”. The initial focus is on “teaching the rules” of geometry and the symbols that are used. 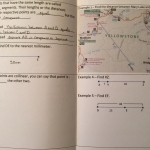 Once students get the hang of the notation used, those who are visual learners often find that they excel in geometry where they may have struggled in algebra. 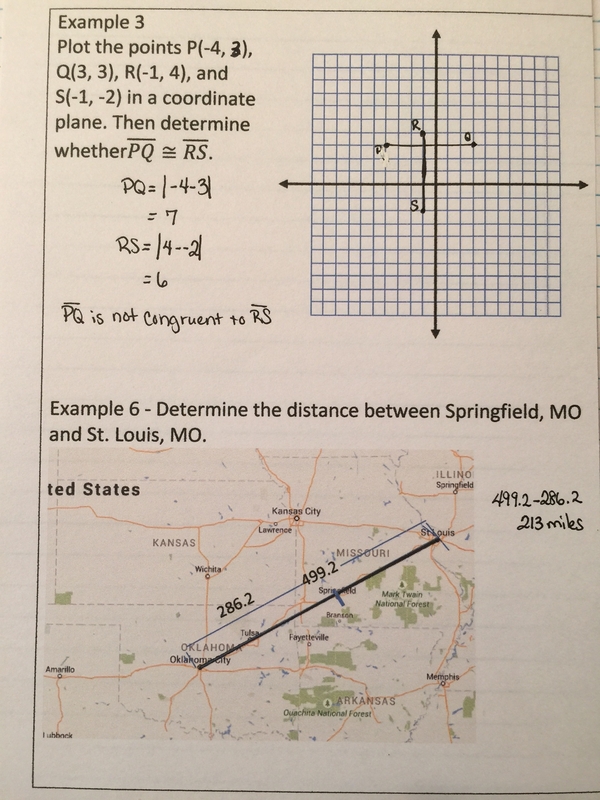 The ruler postulate, for example, basically states that you can use a number line or two points’ coordinates to find the distance between them. Students have been using a number line since early elementary school, so the math itself is not difficult. What they may not have been exposed to is the notation. 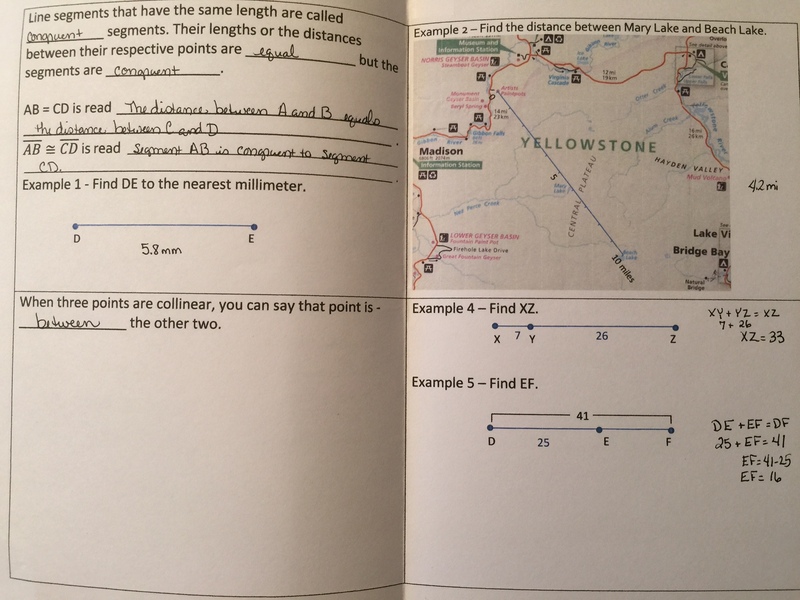 AB is read as “the distance from A to B”. 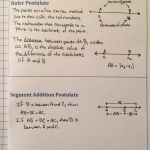 We can state things like AB = CD meaning that segments AB and CD have equal length. Likewise, we add a new symbol, an equals sign with a tilde above it ≅, and state that it means “is congruent to”. 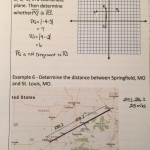 Then we tell students that segments can be congruent but distances are equal. For students who are not used to that level of precision in thier vocabulary, they can get lost if they do not notice the distinction. 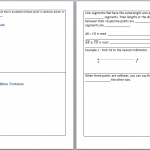 Interactive notebooks can help get students off on the right foot by encouraging them to take notes from their text, take notes from the class discussion and work through the examples as they are presented. Taking notes in math class requires a different skill set than taking notes in science, social studies, or English. Hopefully the foldable below can help students start off the year well. 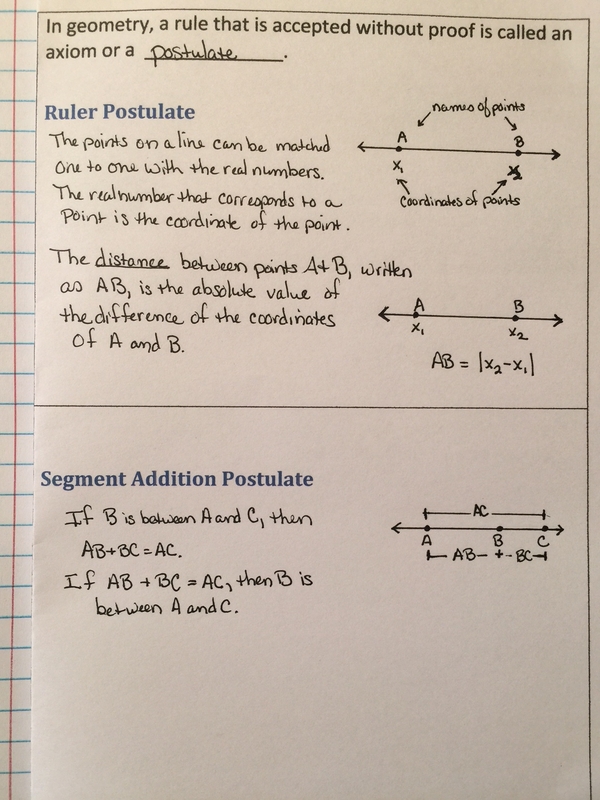 Ruler and Segment Addition Postulate Foldable – page 3 has two examples printed twice – cut in half to distribute to two students.